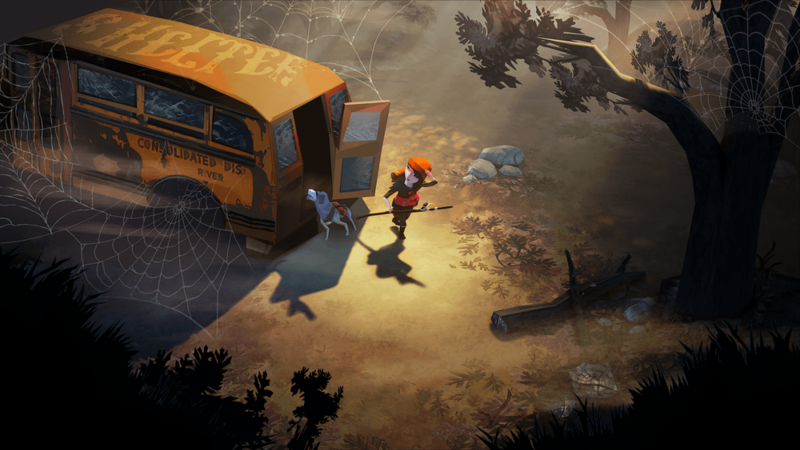 Developed by indie studio The Molasses Flood, which is made up by former BioShock, Halo 2, and Rock Band devs, The Flame in the Flood is a roguelike, third-person adventure survival game that feels a bit too familiar. 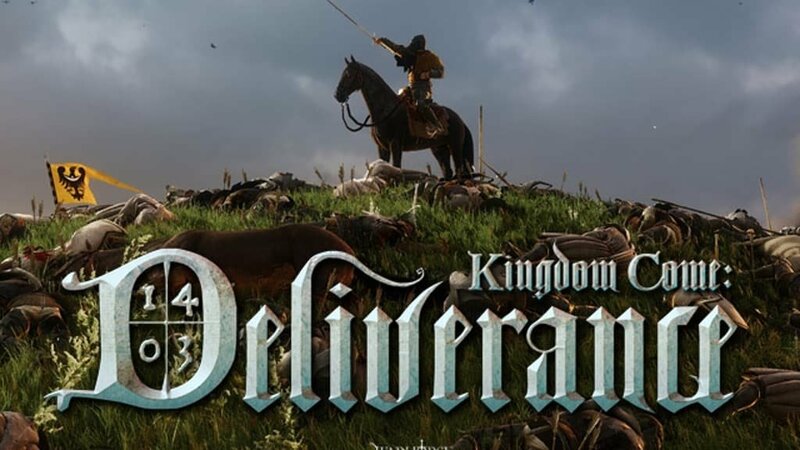 Now in beta on Steam, the game fails to introduce anything exciting or new to the genre with regards to gameplay. If you’ve played other roguelike survival games like, say, Don’t Starve, then you’ve pretty much experienced most of what The Flame in the Flood has to offer. However, despite its lack in originality, the title is still quite fun and addicting, and its main draw is its gorgeous art direction and setting. The game looks like a bright water painting with its vivid colour palettes, cartoonish world and character design, and a day/night cycle that adds to the game’s atmosphere. The Flame in the Flood is set in the backwaters of a forgotten post-societal America, and it truly feels like you’re adventuring through a Western country. You assume the role of a woman, appropriately named Scout, as you constantly have to salvage a plethora of supplies in order to survive. As stated, the game plays almost exactly like Don’t Starve. With the help of your only companion—dog named Aesop—your goal is to survive in the wilderness for as long as possible by looking for water, animals to cook, plants, weapons, etc. You’re thrust into a setting separated by islands and you access them by traveling through a water current on your raft. Scout can get hungry, dehydrated, and tired, and if her ailments become too severe, she dies. If this happens, you’re then forced to start the game all over again. Scout can’t really defend herself, due to her only wielding a large wooden staff that doesn’t deal any significant damage. This actually makes the game less enjoyable to play, thanks to a deluge of threatening wolves that you’ll inevitably encounter during your playthrough. I died three times because I simply accessed a new island, only to find a wolf waiting to attack me and take me down with very little effort. The Flame in the Flood will benefit enormously from empowering the player to feel more powerful and who knows, maybe you’ll be able to build or find better weapons the longer you survive, but that’ll make the experience more frustrating in the beginning, forcing many to quit early on. The mechanics overall feel a bit sparse. Interactions are mostly about looking for items, hitting the menu screen, and crafting something new by simply holding a button—rinse and repeat. Traveling using your raft also gets repetitive and predictable, as you merely have to move left or right in order to avoid obstacles until you’ve finally arrived at an island. You won’t find any substantial storytelling or narrative beats here; Scout doesn’t speak a word, nor does Aesop, and the game never delves into the lore of its waterlogged setting. The game also makes no attempt to explain why Scout is stranded in the middle of nowhere, or if there are other survivors and explorers are roaming around besides Scout. 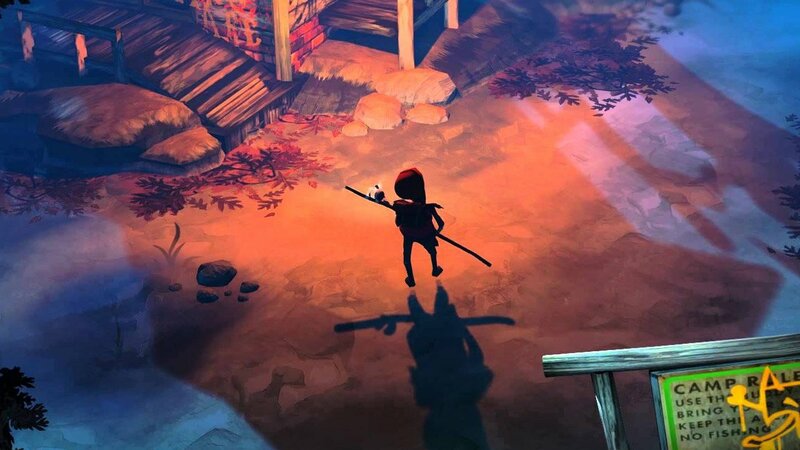 Even though this is only just a beta, and The Flame in the Flood could very well provide plenty of storytelling, though roguelike survival games like this seldom do. After playing the game for five hours, I get the sense that The Flame in the Flood is indeed a very traditional game in its genre. I only hope that the finished version offers a lot more than it is currently providing. It’s rarely fun to just survive for as long as you can with little context. The Flame in the Flood isn’t broken or terrible; in fact, it is well made, but playing it ultimately felt dull and unrewarding. After taking a look at the recently released Galak-Z (an equally unforgiving game that offers complex gameplay systems in the form of a light story, characters, and momentum), games like The Flame in the Flood feel a bit dated.